Have you ever seen Buffy the Vampire Slayer? If not, why not? Are you ill? Were you asleep for the seven years the show was on the air? Are you desperately oppressed and incapable of using Netflix streaming, Amazon Prime, or Hulu+? No seriously, you’d better have a good excuse. 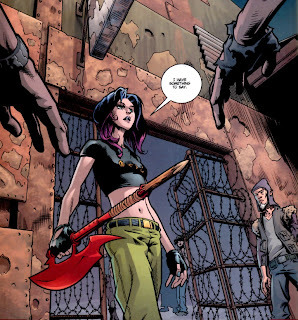 Anyway, the graphic novel Fray and then the subsequent comic series are a lot like Buffy. I mean a lot. I mean written by the same guy (Joss Whedon) about the same basic concept (Vampire Slayers). But this doesn’t mean reading Fray is like getting a repeat of Buffy. Because as it turns out, this is one story that can turn two very different ways. Okay, to start off for all you non-Joss loving strangers, Buffy the Vampire Slayer was a really terrible early nineties movie, and then a really awesome late nineties television show about the one girl in all the world with the power to fight the vampires, demons and forces of darkness. She is the Slayer. The original show is set in Sunnydale, California, and purports to happen concurrently to our timeline. As opposed to other urban fantasy shows that messed with the clock in their world, Buffy actually operated pretty close to real time. They had Halloween episodes, a notable Thanksgiving episode, and the apocalypse was always right before school got out for summer for some reason. Buffy is a show about a perfectly normal teenage girl dealing with her perfectly abnormal and terrifying destiny. It’s all about choices and responsibility and how being a teenager is incredibly literally hell. I tell you all of this not just to tell you that you should watch the show and then read the comic (which continues on where the show left off and is really, really good), but to make the point that while Fray follows much of the same structure, it’s actually a really different story, and I think that speaks really well of the world Whedon created. 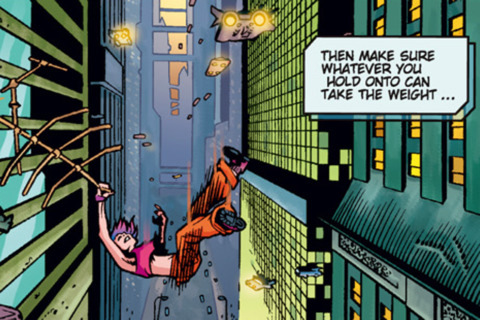 Fray is a comic, starring Melaka Fray, a street girl two hundred years in the future in some city somewhere. We don’t really know where, but that works, because it becomes anywhere. Melaka, or Mellie, is a thief, professionally, and lives in a slum that gets forgotten by all the rich people in their nice apartments. She’s rough and tumble, a total punk, and living in some serious denial about her life choices. 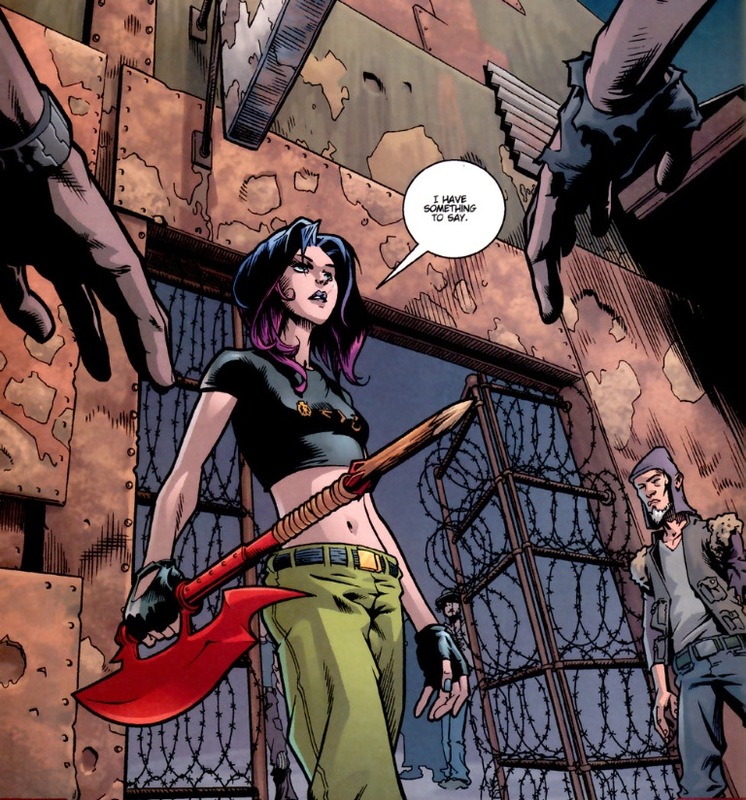 She gets Called and becomes a Vampire Slayer, and then has to ask a very serious question: what’s a vampire? You see, in this world, people have mutated so much, as a result of all the chemicals in the air and water, as well as latent radiation, that it’s actually almost impossible to tell the difference between vampires and people. The street kids call them Lurks, and avoid them, but don’t really know anything about them. When Mellie gets Called, she has to figure out not only how to take down the Lurks, but also why she should. What has anyone ever done for her that would make her responsible for their lives? Her own sister has pretty much disowned her, and her best friend/brother is dead. Why should she care? Now this is the part where Fray and Buffy start to come back together, because the answer, as it’s always been, is very simple. Because it’s the right thing to do. No, seriously, that’s it. Mellie turns around and faces the vampires because it’s good, because she wants to help people after all, and because it’s what a hero would do. She doesn’t feel like a hero, but she wants to. The story is a little complicated, and riddled with spoilers that I will do my best to avoid, but basically here’s the gist: Mellie steals an ancient amulet for her boss, who then overpays her, making her super suspicious. Then she’s tracked down by a terrifying demon and told she has to fight vampires. She thinks he’s nuts. He proves it. Training montage (basically). Mellie realizes that she really does have to fight the forces of darkness in order to keep her part of the slum safe, since no one on high is going to do anything to save them. She and her sister have feelings at each other. Then more feelings. And then good feelings and her sister comes through with a lot of guns for the final battle. I won’t say anything about that battle, which is awesome, because it would all be spoilers, but suffice to say that it’s very Joss Whedon, and yes, people you love can die at any moment. But that doesn’t make it not good. Or not important. Fray is an important book. 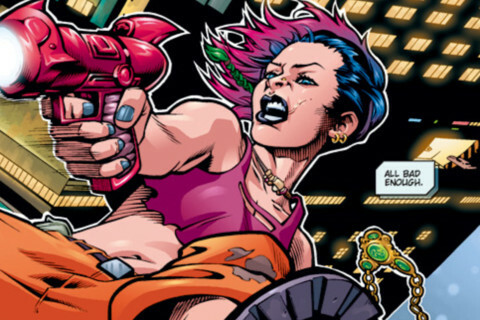 The story, which ranges all over a lot of tropes that Joss likes to use, isn’t all that special. What makes this story work, and why I actually really love it, is that it reminds me why I love any heroic journey. I want to see someone like me make a difference. That’s seriously it. I want to watch and learn how to be a hero. Look, I think we all get where Mellie’s coming from sometimes. It seems a lot easier to turn our heads and look away, because the lives we lead are small and hard most of the time. I know that I rarely feel filled with philanthropic delight when encountered with a clear case of possible heroism. I usually just feel annoyed, and I don’t like that about myself. I'm not saying that Mellie's perfect, because she most definitely is not. I wouldn't like her nearly as much if she were. She'd be all silicon and weird and creepy. She's flawed and she's kind of terrible sometimes. But that's what makes her compelling. She is a screwup, and she still rises to the occasion. Mellie and Buffy both ask and answer a question that we all have to face daily: will you stand up and fight? Our fights are a lot different, of course, unless you’ve recently been battling mutated fish people and demons that possess the internet, but they still matter, and they’re still ours. The value of having stories like Fray is that they remind us why we should fight. Because it’s good. Maybe your fights are smaller. Maybe they’re just against yourself. But maybe you have to fight them anyways. 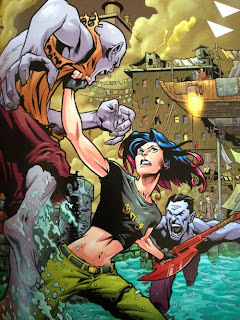 And maybe, just maybe, reading about a chick with blue hair and a bad attitude fighting vampires in a cyberpunk slum will make fighting just a little bit easier.